Food is good. From the sweetest amuse-bouche to the stickiest pud, via the freshest soup and the finest steak, the culinary arts provide us with some of the richest sensual experiences that we are privy to. Booze is also good. From Beer to Whisky, from Absinthe to Zubrowka, man's multifarious methods of inducing intoxication run from the simple to the exotic - all with the same pleasurable effects. Cooking with Booze, therefore, brings together two of mankind's greatest achievements in an explosion of culinary genius. 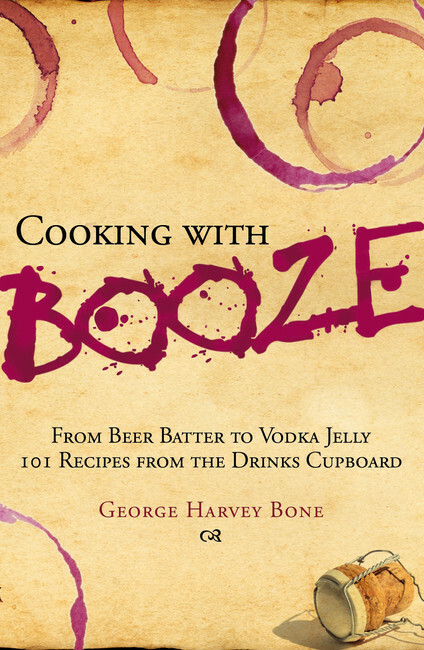 From beer-battered cod to plums in red wine, from champagne oysters to the perfect vodka jelly, Harvey Bone presents a range of drinks cupboard delicacies to entertain every palate, culled from sources across the globe, with easy-to-follow recipes for even the tipsiest of chefs. Cheers! "The perfect Christmas gift" -- Everyone who's commented on it!